Since preparing this letter in November 2014 we have decided to use change.org to gather signatures in support of this letter. We invite you to sign the petition by Clicking here. Thanks for your support. 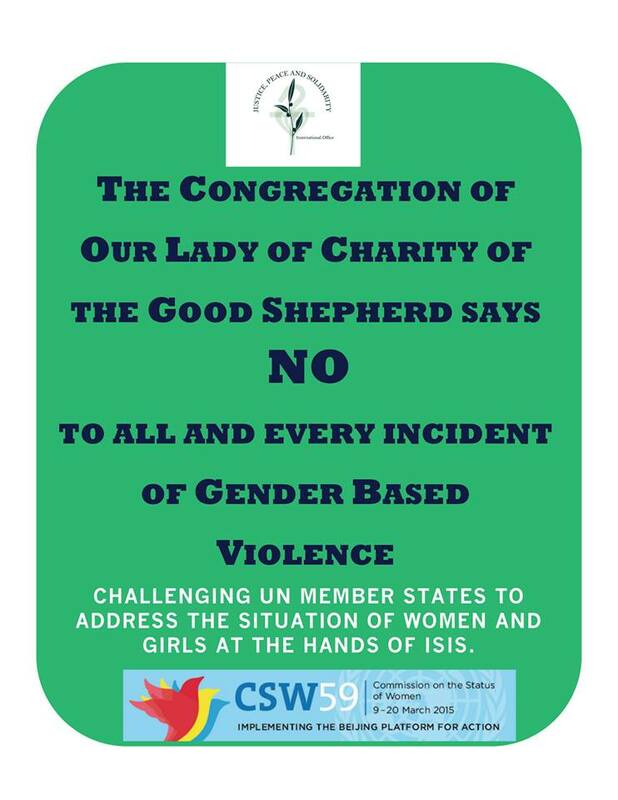 We, Sisters and Lay Mission Partners of Our Lady of Charity of the Good Shepherd, 82 delegates from 28 countries in Europe, Africa and the Middle East are shocked and outraged by what we have witnessed in Northern Iraq. We are gathered in Angers, France, for an Inter Continental Assembly and have decided to bring to your notice and ask for your action on this subject. Our main concern is that ISIS is selling girls and women on the open market. This is a flagrant violation of human rights and all international conventions. We see this exploitation of girls and women as a perpetuation of violence against humanity. It is an outrage that ISIS is dealing in the commodification of girls and women. These girls and women are marketed by age and we are scandalized to see the girl child being sold in contradiction to the Convention on the Rights of the Child. Could not the same international coalition that developed a strategy to defend and free up the oil wells in the Middle East, now focus an even stronger concerted voice to negotiate the liberation of these girls and women? Could not the governments of all nations denounce this human rights violation? As human beings, have we lost our sense of solidarity to save life and to combat violence against the weakest and the most vulnerable members of society? We denounce in the strongest terms what is happening to girls and women and we appeal to the international community to use its political influence to have a total cessation of the use of human beings as weapons of war. This entry was posted in Ending Violence Against Girls and Women, Uncategorized and tagged Violence Against Women. ← March 8th is International Women’s Day! What are you planning?